Is it Okay to Unplug a Refrigerator & Let it Sit in the Garage Unplugged? 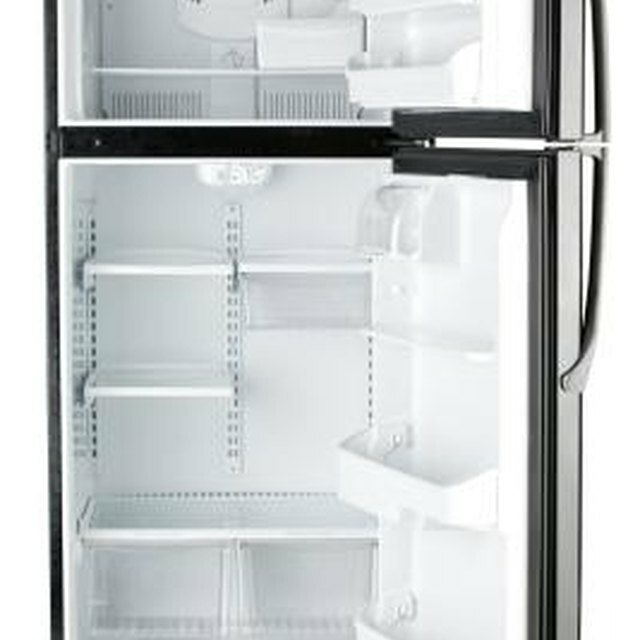 Like most appliances, upright freezers have an expiration date. While these appliances are sturdy and built to last their owners many years, eventually a freezer will die and no longer be functional. When this happens, it is common to simply discard the freezer; however, to maximize your money spent on this appliance, you can adapt its uses far beyond keeping your frozen foods fresh. Upright freezers range is size according to their model; however, most upright freezers offer several cubic feet of open space. Because upright freezers typically feature wire shelving, they may be used as new storage bins. To utilize an old freezer as a storage bin, clean out its interior with standard kitchen cleaning supplies. Once the freezer is clean, you may remove its shelving and lay the freezer on its back for a makeshift hope chest, or keep it upright with its shelves in place for a chest of drawers-type storage unit. If you do not want to discard your old freezer, but don't want it taking up space in your home, you may turn the freezer into a garden. To do so, you will need to remove all shelving and the door and position the freezer outside with lying on its back. Make sure the freezer is located in an area of your yard that sees ample sunlight. Cover the inside cavity with a tarp to catch water and prevent decay of the freezer walls. Pour gardening soil into the freezer; stop when the soil level reaches five inches from the top of the freezer. After the soil has been added, you may plant your favorite vegetables, flowers or fruits. Decorate the sides of the freezer to add personality to its exterior. If you live in a smaller home or simply need more closet space, an upright freezer can provide extra space to hang your clothing. To transform an old upright freezer into a closet, you must remove all shelving and install a [shower curtain](https://society6com/shower-curtains?utm_source=SFGHG&utm_medium=referral&utm_campaign=8610) rod in the freezer cavity. Once the rod is secured, you may hang clothes of all types in the freezer. Paint the exterior of the freezer for a more attractive appearance. An upright freezer may be used to store art or other collectibles by using its built-in shelving. Make sure the interior of the freezer is clean, then position it in an upright position. Place the items into the freezer; however, to add light, you may first want to attach Christmas lights to the interior cavity of the freezer. Secure the lights to the walls of the freezer with Super Glue, or string the lights in between the wire shelves. Glue decorations and paint the interior and exterior walls to add character and make the actual freezer a piece of art. How Do You Defrost an Upright Freezer?